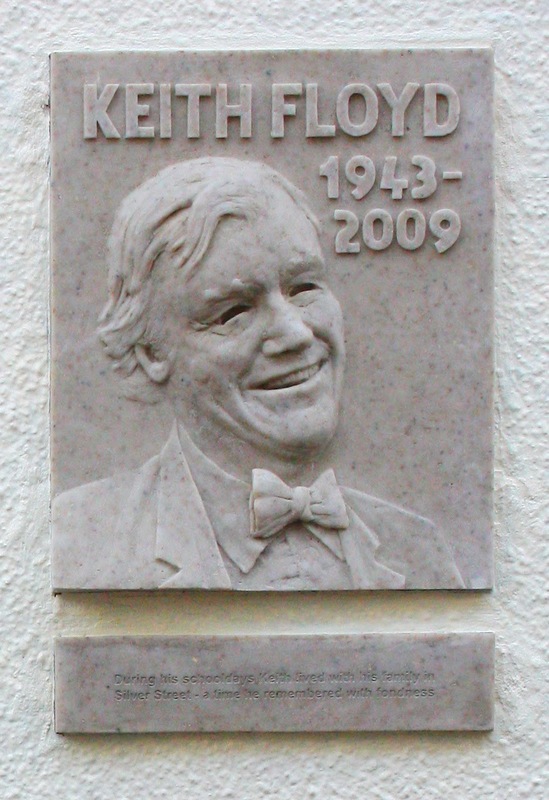 After 4 years of effort to raise funds for a life sized bronze and marble statue, The Keith Floyd Memorial Project has opted for Plan B. 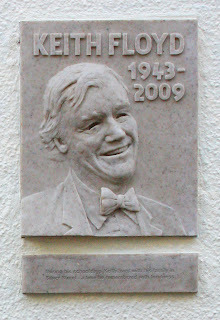 On Wednesday 11th December 2013 a commemorative portrait plaque depicting K F was installed at a site in the centre of Wiveliscombe, Somerset, near to the house where he lived with his family. This does not mean the Project has closed down, only that we will be biding our time and perhaps considering another strategy. It is possible that the new plaque will revive interest or that another opportunity/idea to raise funds will present itself. 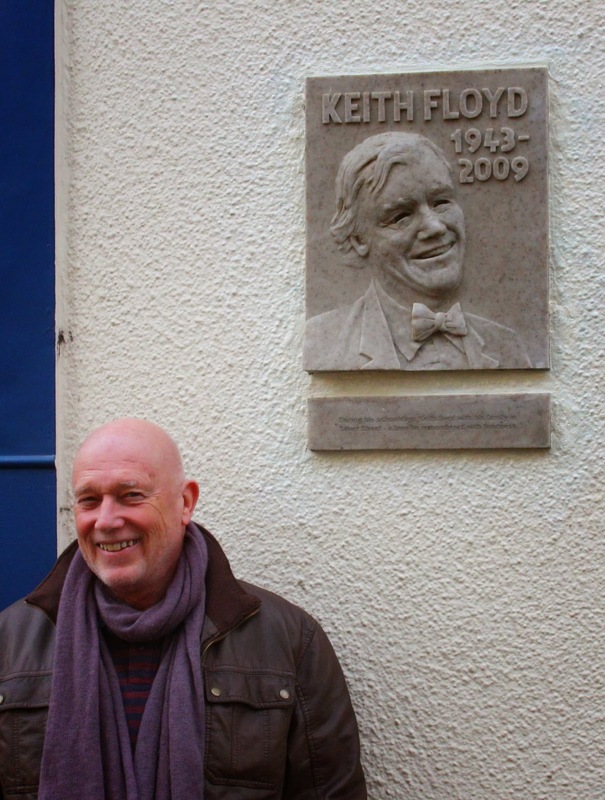 It has been a bumpy ride and somewhat disappointing in that so few of Keith’s friends and colleagues found themselves able to contribute to the fund. Having said that, we are exceptionally grateful to those who did donate and support us throughout. 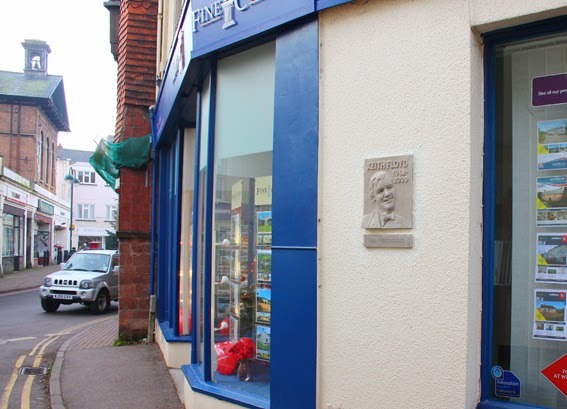 In particular we have to thank Phil Vickery, BlancRestaurants ( Le Manoir), Langan's Brasserie and J.E.Fox, who’s contributions made the plaque possible. The encouragement of Wellington School has also been greatly appreciated even though they were unable to donate due to their charitable status. 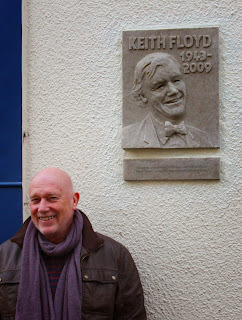 Meeting Keith’s friends and relations has been a great pleasure and following his trail has been an extraordinary journey. Thankfully we now have a permanent reminder of this charismatic and influential character. Sculptor John Alder with the plaque. Please leave your comments about the Project for us. They will not necessarily be posted!! Editions of the maquette will still be available and editions of the new plaque also – contact ja@kfmproject.org.uk for more info. Fantastic John a job well done and keeping my fingers crossed for the statue in the future. Great plaque...went on a pilgrimage to Wivey on our way back from River Cottage food fair May 2014. We had lunch sat in the car outside 16 Silver Street...my daughter Emmi wasn't impressed, but it made me feel good.